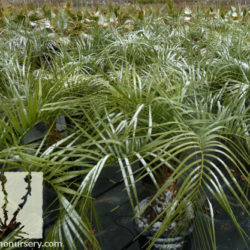 Pindo Palm has graceful, arching limbs with grey-green foliage. 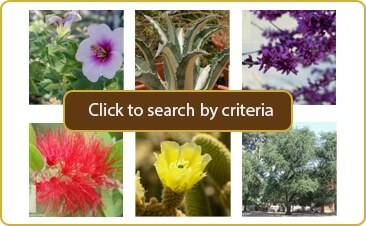 Yellow flowers appear in summer and turn into edible fruit on female trees. Clusters of yellow fruit reportedly taste sweet and tart at the same time, similar to pineapple. If fruit is unwanted, it may be wise to cut the clusters off before they create a mess. 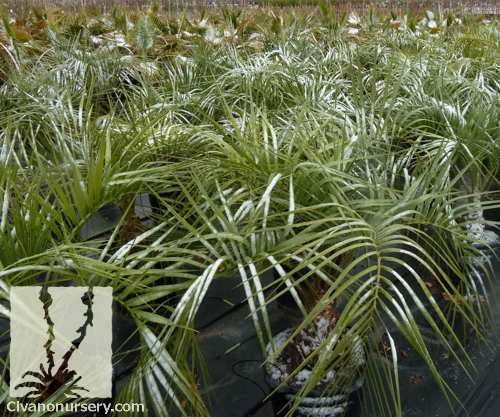 It is impressively hardy, in the fact that it’s one of the cold hardiest exotic palms that we can plant in Tucson. 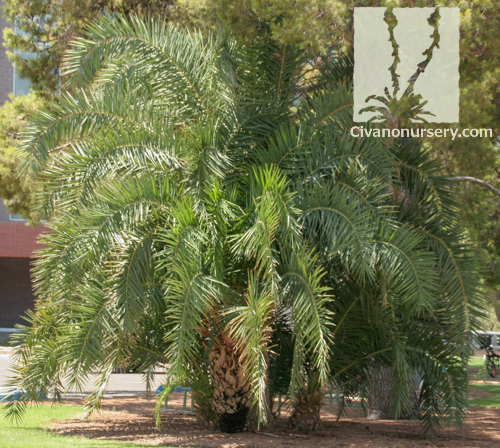 Pindo Palm is also one of the slower growing palms, making it a great choice for small areas. 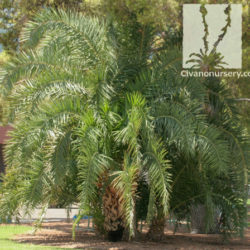 It creates a lovely tropical effect around pools and patios, but is also an ideal selection for lawn plantings, where many other plants would suffer.